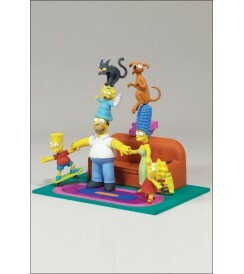 Classic Simpsons, as only McFarlane can do it! Homer and Marge, Bart, Lisa and Maggie, Santa's Little Helper and Snowball II recreate the classic episode-opening couch gag. 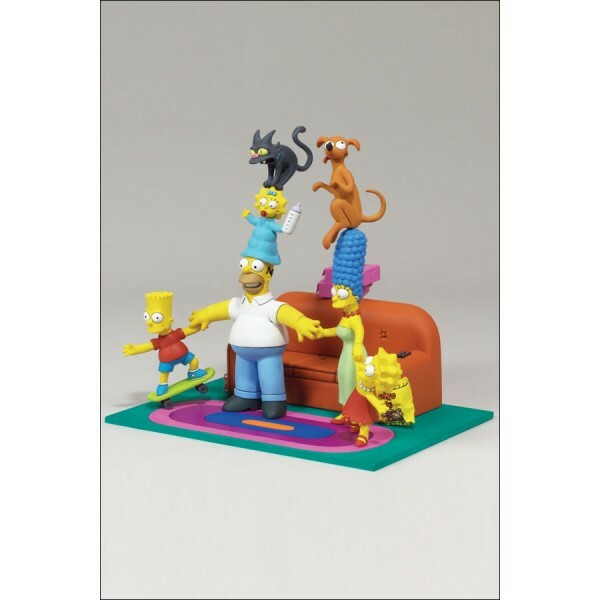 Create your own couch gag by rearranging the magnetic figures, which can be positioned in a variety of poses and configurations. Comes with Simpson-themed accessories including a Buzz cola can and Porko Bits.